We were chosen to fulfill the dream of a new facility when another local architecture firm told the CDC that they needed to build an entirely new $10 million facility. Our feasibility study was completed in 2006, and the subsequent two-phase project began construction in 2007 after a year of grant-writing and fund raising. 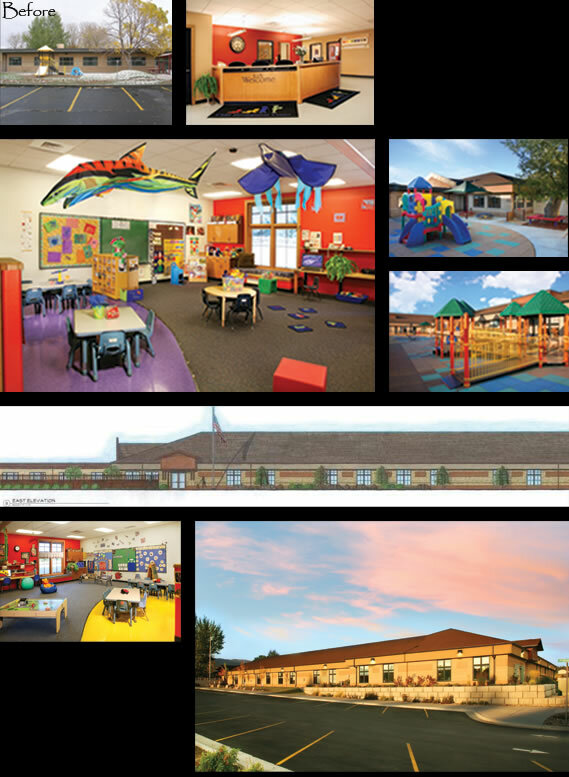 The project included a new 14-classroom addition (phase I) and existing building renovation (phase II) for offices and education support space and upgrades to life safety requirements. The facility features epoxy flooring in all restrooms, special door hardware, coordination of the owner’s security system, one-way glass for parents and other professionals to observe child behavior, and special vandal resistant drywall was used at indoor play areas. The two phase project was coordinated so that the facility could remain fully functional throughout construction, including a separate asbestos abatement project.